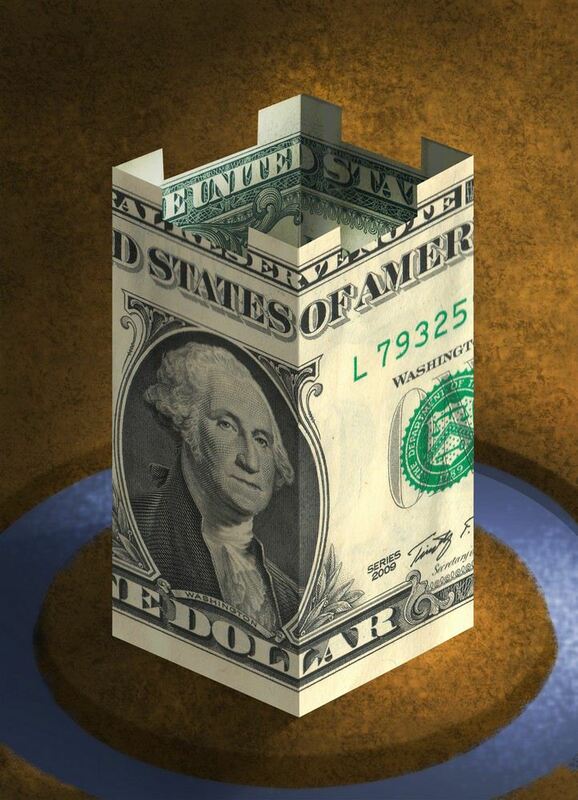 For the second week in a row, the US dollar moved lower against all the major currencies, save the Japanese yen. Broadly speaking, the technical indicators suggest the greenback's pullback may not be complete. We continue to view the price action is corrective in nature, after the strong performance record since the middle of Q1. However, there are a number of participants who view those dollar gains as corrective. Several large banks have reaffirmed their bearish dollar calls. Speculators in the futures market continue to add to gross long euro positions. The speculative gross long euro position has risen for three consecutive CFTC reporting weeks and in five of the past six. That long position now stands at nearly 240k contracts, the largest since February. To be sure, our bearish outlook is also shared by speculators. The bears also added to their short futures position for the third week in a row and in five of the past six weeks. At nearly 151k contracts, the speculative gross short position is the largest in a year. The fact that the net long position has fallen for the seventh consecutive week means that the bears have been more aggressive than the bulls, but neither side has capitulated, and a battle is being fought. It does not help that the moving averages are given mixed signals. The 50-day moving average has slipped below the 200-day moving average (deadman's cross) for the first time in a year. On the other hand, the five-day moving average has pushed above the 20-day moving average. The euro's losses before the weekend snapped a four-day advance. However, it recovered ahead of support seen near $1.1715. The technical indicators give little reason to suggest the euro's advance is over. A break of the $1.1650 area would go a long way toward signaling a top is in place, but barring that, a retest of last week's high near $1.1840, and possibly extending toward $1.19 cannot be ruled out. A little above $1.19 houses the 38.2% retracement objective of the euro's decline since the multiyear high was recorded near $1.2550 in February. It is also a measuring objective of potential head and shoulders bottom. The dollar eked out the smallest of gains against the yen last week, according to Bloomberg data. It was the second consecutive week, but more importantly, it reminds us that the dollar has fallen against the yen in only one week here in Q2, which starts Japan's new fiscal year. The dollar eased against the yen in the two sessions before the weekend, but support near JPY109.20 held and the greenback recovered to close above JPY109.50. The technical indicators are mixed, and the dollar looks bounded by the 200-day moving average (~JPY110.20) in the north and the 50-day moving average (~JPY108.85) in the south. A break of JPY108 would be a particularly bearish technical development. It could signal a dollar retreat in Q3 that could carry it toward JPY105 again. Sterling may be pulled in two directions as well. Progress on Brexit is going poorly. Prime Minister May's compromises may be sufficient to ward off an imminent rebellion on the withdrawal bill, but it is insufficient for the EC and is too much for the hardliners in her cabinet. This is sterling negative. On the other side, is the likelihood that the Bank of England raises rates. Interpolating from the OIS curve, the market now favors an August move. With resilient price pressures, firm wages, and rebounding consumption, the economic case for a rate hike is stronger than the uncertainty surrounding Brexit. Sterling has traded higher against the dollar for the past two weeks. Unlike the euro, the five- and 20-day moving averages have not crossed, but they will in the next session. The 50- and 200-day maybe around two weeks from crossing. Like the euro,, however, sterling bounced off support (~$1.3350) ahead of the weekend, and the technical indicators do not give any reason to think the high is in place. Initial resistance is seen around $1.3470. Sterling's bottoming pattern looks similar to the euro and would project toward $1.3600. Last month's high was set on May 10 near $1.3620. The jump wages of permanent Canadian employees offset the disappointment with news that overall jobs and full-time positions fell in May (-7.5k and -31.0k respectively). It reduces the doubt that despite the NAFTA uncertainties and concerns over the indebtedness of Canadian households, a July rate hike is the most likely scenario. Wages rose 3.9% year-over-year. This is the strongest gain since 2009. It is in stark contrast to where wages were a year ago. In April 2017, earnings were 0.5% above year-ago levels. 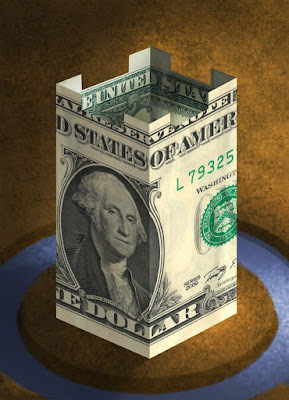 Before the weekend, the US dollar traded on both sides of the previous day's range against the Canadian dollar and proceeded to close below Thursday's low (outside down day). This bearish development is reinforced by the technical indicators we use. Nearby support is seen around CAD1.29, but the immediate potential extends to CAD1.28. The Canadian dollar also looks good on the crosses, which typically is the case in strong US dollar environment. In particular, with the Reserve Bank of Australia and the Reserve Bank of New Zealand on hold, interest rate considerations and technical considerations, the Canadian dollar is attractive within the dollar bloc. That said, the Australian dollar advanced against the US dollar for a third consecutive week and the fourth in the past five. It also pullback in the second half of last week, but support near $0.7550 held before the weekend and the Aussie bounced back to $0.7600. The technical indicators do not preclude a run at last week's highs near $0.7680, but we do not anticipate meaningful penetration. The dollar reversed lower ahead of the weekend against the Mexican peso as the aggressive action of the Brazilian central bank helped fuel the real's recovery. Initial dollar support for the dollar is seen near MXN20.1950. There appear to be bearish divergences in the RSI and MACDs, giving greenback more downside potential. We anticipate support around MXN20.00 will hold. In the futures market, speculators are now net short the peso for the first time since April 2017. The gross longs have been cut for seven weeks, during which time the position has been halved to 70k contracts. The gross short have risen for the past three weeks. They have more than doubled to 81k contracts from 33.5k contracts when the accumulation began. Light sweet crude oil for July delivery fell last week. It was the third successive decline and follows a three-week advance. However, there has been a subtle change that is obscured by looking at the close. In the last four sessions, July WTI recorded high highs and higher lows. The technical indicators have not turned, but they are trying. Initial resistance is pegged at $66.45, and a move back to the $67.50-$68.50 area seems the most likely technically. OPEC and non-OPEC meeting later this month is seen as key for the price outlook, but Russia's Putin and Saudi's MBS may meet at the World Cup in next week. Russia and Saudi Arabia are already boosting output. The US 10-year yield moved in a 10 bp range last week. Ironically the high and low were both seen on Thursday amid the gyrations spurred by a newswire headline claiming the ECB meeting was "live" for which it used its own definition and not the market convention of a reasonable possibility of action (~2.88%-2.99%). Is it too cynical to suspect it confused the algos and humans? The September note futures held near 119-00, but could not push through 120-00. The technical indicators warn that a push lower is likely. The S&P 500 gapped higher on Monday, and although the gap was entered the next day, it was not closed (it is found between ~2739.5 and ~2740.5). It closed near the best levels of the week and the best since March 12. We continue to look for 2800, which is high it has been since the frantic low was set in February. There is a gap from early February that is unfilled and may attract prices (~2809-2813). The Russell 1000 Growth and Value indices rose in four of last week's five sessions. The Growth Index has risen five of the past six weeks. It rose nearly 1.8% last week and is up about 8.9% for the year. The Russell 1000 Value Index rose 1.6% last week. It is only the second increase in the past six weeks. It is still off a little more than 0.5% for the year.